Bangladesh Prime Minister Sheikh Hasina knows what it’s like to be a refugee. In August 1975, her father, Sheikh Mujibur Rahman, the founding father of Bangladesh, was assassinated along with most of their family. She and her sister, Sheikh Rehana, were abroad when the attack took place. The sisters were barred from returning to Bangladesh by the military dictatorship that took over the government. They were effectively homeless and stateless for more than six years. Prime Minister Hasina’s empathy – and history – are major reasons Bangladesh has opened its doors to the Rohingya refugees fleeing persecution in neighboring Myanmar. Starting in August 2017, more than 700,000 Rohingya refugees have been welcomed by Bangladesh where they have lived safely under government protection. The Rohingya face what experts have dubbed a “slow-burning genocide” – persecuted and murdered because of their ethnicity and Muslim religion. This ethnocide began when the military seized power in Myanmar in 1962. Since then, the military has systematically stripped the Rohingya of their citizenship rights and began killing and burning them out of their homes in phases – in 1978, 1991 and again last year. Bangladesh has not only provided sanctuary to the Rohingya but has extended every public service it could to help them survive their ordeal. Even though Bangladesh’s economy has prospered under Prime Minister Hasina’s leadership since 2009, the country’s resources for such a huge undertaking are by no means inexhaustible. In fact, Bangladesh has faced significant financial strains because of its open-hearted humanitarianism. Yet Bangladesh has undertaken this arduous task willingly. That’s why it’s so distressing when Bangladesh is criticized for its handling of the situation, which is one of the world’s largest humanitarian crises. In his recent article on CNN.com, Michael Bociurkiw, a global affairs analyst, suggested that the prime minister undertook this sprawling effort to win a Nobel Peace Prize. That’s a cynically false assertion that misunderstands the deep feeling about refugees held by Sheikh Hasina. In the same article, a UNICEF official named Alastair Lawson Tancred accused Bangladesh of creating “concentration camps” to house the Rohingya, a reference to Bangladesh’s plans to possibly expand refugee camps onto chars, or islands, in the Meghna River delta. The expansion would be an act of generosity, not imprisonment. Bangladesh is one of the world’s most densely populated countries. It simply doesn’t have extra room to put upwards of a million additional people. 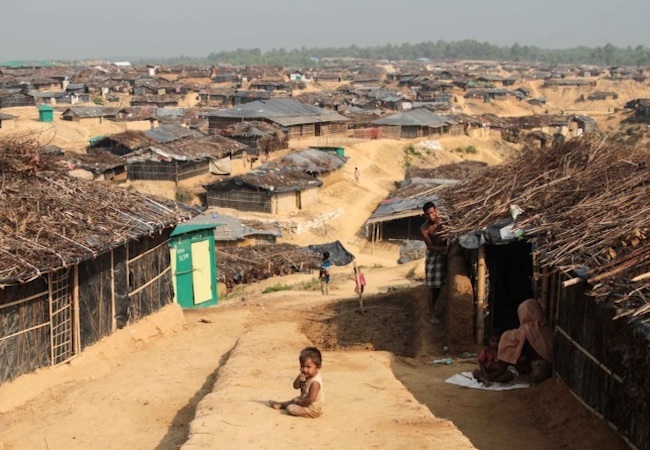 Stable chars could make more-than-satisfactory sites for the refugee camps which, by the way, would have permanent structures, schools, medical facilities and roads – even better than the villages that house Rohingya in Bangladesh now. Calling them “concentration camps” is reckless and inaccurate. They are, in fact, the opposite. Bangladesh did not create this humanitarian catastrophe. The military regime in Myanmar did by instigating a genocide against its own people. Prime Minister Hasina and her government are trying to provide the Rohingya with shelter, food, clothing and medicine until they can be safely repatriated to their home country. As the recent delay of repatriation plans proves, no one will be forced to return. A few armchair second-guessers from outside the country have complained about Bangladesh’s implementation of its aid plan for the Rohingya. But most observers understand the magnitude of Bangladesh’s charity and have praised the prime minister for her good works. In late September, the prime minister received two prestigious awards recognizing Bangladesh’s response to the Rohingya crisis. The United Nations Inter Press Service Agency presented her with its International Humanitarian Award. In addition, the nongovernmental-organization-collective Global Hope Coalition conferred on her its Special Distinction Award for Leadership. Both groups – and many others including the European Union – agree that she has shown exemplary courage in dealing with Bangladesh’s unfriendly neighbor to the east and in extending the hand of friendship to the Rohingya people. Her calm, steady handling of this potentially explosive situation has prevented the crisis from enveloping the wider South Asia region. Bangladesh has given far more than its fair share to help the Rohingya and will continue to do so until they are repatriated. Now it’s the turn of the international community to do more as well. The story of refugees around the world is a very sad one. But Bangladesh offers a different and much more positive example. Prime Minister Hasina and her government are teaching the world how to handle a humanitarian crisis with sober resolve and compassion. Tahseen Ali teaches history as a faculty member of the Houston Community College System and is the author of a forthcoming book about the British Empire in the Indian Subcontinent.